This product line is available with RJ-45 Ethernet, 4 - 20 mA and RS485 communication. The CO2 measurement is based on a 2-source, 2-beam process. 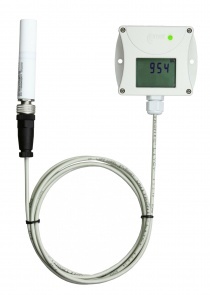 CO2 measurement with long-term stability is guaranteed thanks to the proven non-dispersive infrared (NDIR) CO2 measurement cell. The unique patented auto-calibration procedure compensates for aging of the infrared source and guarantees high reliability, long term stability and eliminates the need of periodical recalibration in the field.